Mizuno ST180 and GT180 driver reviews: designed to offer low spin, but they're so much more than that. What’s the first thing that pops into your head when we say “Mizuno”? No - don’t think about it, just let the word appear. "Irons", right? And it’s been that way over recent years. Their soft-feeling forged irons are to golf purists what Radiohead are to music heads. Held in high regard, and to which all others are measured against. Mizuno have somewhat played into this, with marketing still centred around their irons, especially with the #nothingfeelslikeaMizuno. When we see #nothingisaslongasaMizuno then we'll know things have changed. But with the launch of the outstanding JPX900 driver, and now the new ST180 and GT180 drivers, Mizuno have a range of metals that can rival the best out there. 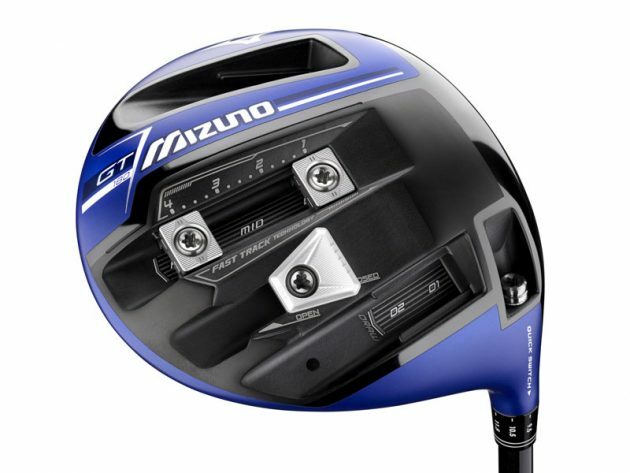 By all means, continue to think of Mizuno as an iron brand, but in not giving their drivers a hit in 2018, you’re making a grave error. Classic Mizuno blue, with the white and blue headcover. We love the colouring of the crown, and that popular contrast with the black clubface is a winner. The headshapes of the two are classic, with the GT180 being marginally more tearshaped. Guess what – they’re soft! Would you have expected anything else? They have a slightly hollow, deep, thwacky feel, and are both quite loud. Yep, thwacky. I went there. These low spin drivers do just that. The ST180 was spinning 300-500 rpm lower up against a standard driver, while the GT180 was slightly less – in the 250-400 range. They still had a decent flight – we would say low-mid trajectory – so for high spin players, they definitely offer extra distance. With lower spin, mishits usually are exaggerated, but we found these to be the most forgiving low spin driver we’ve seen, which is a massive plus, especially the ST180. Ball speeds from both were almost identical, averaging 141 mph for us, which is a good return. Up there with some of the higher ball speeds we’ve got so far in 2018. The GT180 allows for weight adjustability, while the ST180 does not. There are a lot of weights to move around in the GT180, so if that’s your thing, you’ll probably enjoy this option. We got a little less spin from the GT180, and didn’t find it as forgiving as the ST180. Both these drivers offer low spin, forgiveness and distance. However, the ST180 was more low spin and more forgiving for us, but only marginally. If you require adjustability, the GT180 is the option, but we’d bag the ST180. Both are leading low spin drivers for 2018, which should definitely be on your test list.